Designer Paolo Ceola has created an innovative way to define a space with the Incontri Silence privacy wall from Altek Italia Design. This modular system has all the quality and modern details of great Italian design paired with cutting edge technology and an unexpected form suitable for commercial spaces like hotels, waiting rooms, and airports just as much as it fits into a home as an office or living space. 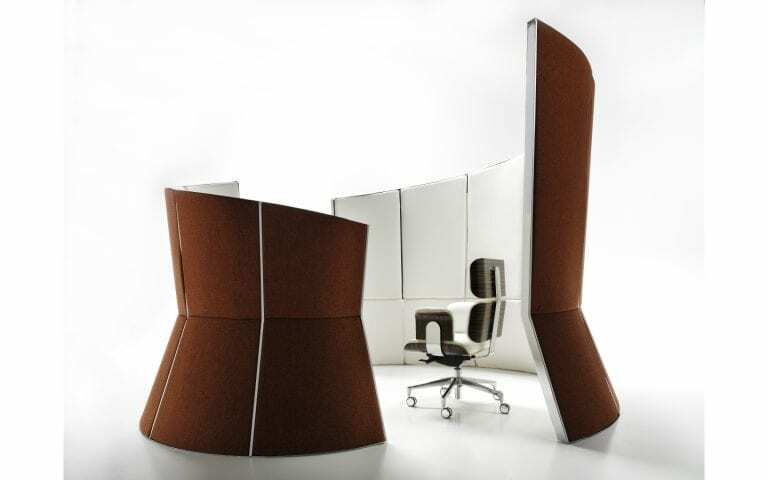 The flexibility of the Incontri Silence privacy wall by Altek Italia Design is only the first of its useful functions. The steel structure establishes each curved piece that can be united for a spiraling effect, shielding the interior space from sight and sound. The height of each panel increases along the length of the spiral, creating a dramatic sweeping line. The outer panels taper inward to midway down their height, then flare back out to form a stable supporting base. The flowing shape is a feature to admire from the outside as much as it provides a calming shelter on the inside. 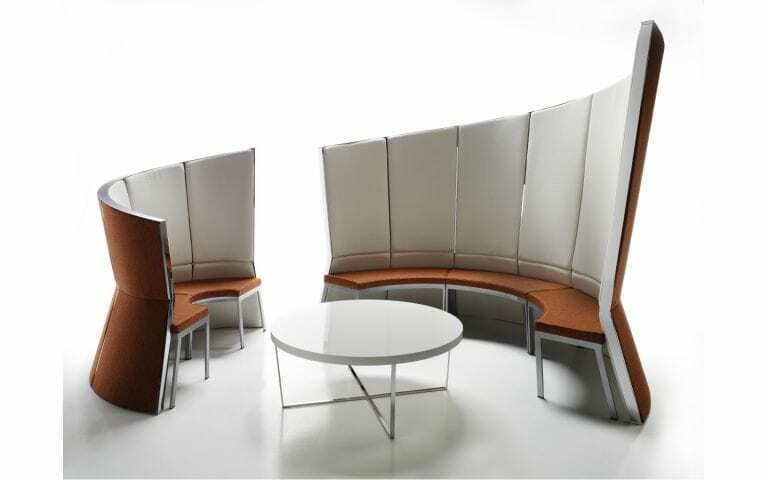 The quiet environment within the movable walls is ideal for a private conversation, a peaceful workspace, or just a moment of rest and relaxation. Decorate the interior to compliment your personal style, or incorporate the available matching elements like curved bench seating or a round coffee table to complete the functionality of the Incontri Silence. 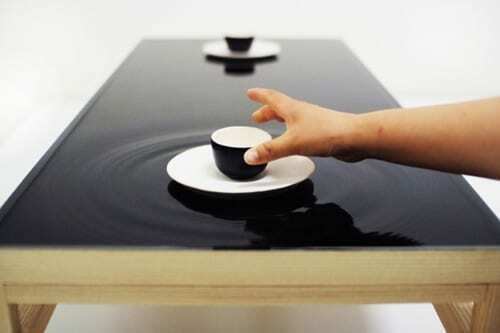 Its durable construction also makes it suitable for outdoor use. 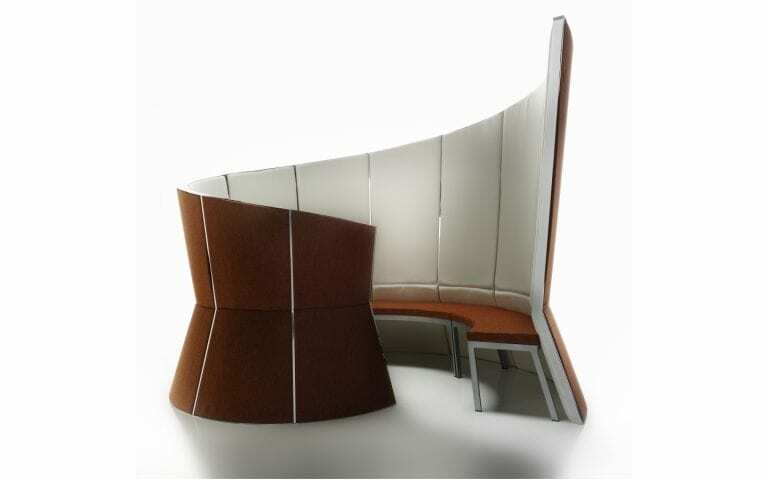 Where will you take shelter in the graceful spiral of the Incontri Silence privacy wall?